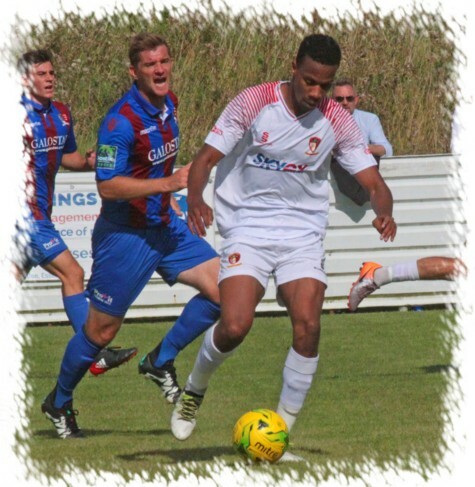 Hayes & Yeading earned a second shot at Emirates FA Cup progression with a hard fought draw in Essex on Saturday as the hosts scored a deserved 90th minute equaliser to bring the tie back to the SKYex on Tuesday evening. The game took a little time to get going as both sides were sizing each other up for the opening 15 minutes with nothing to talk of being created by either side. 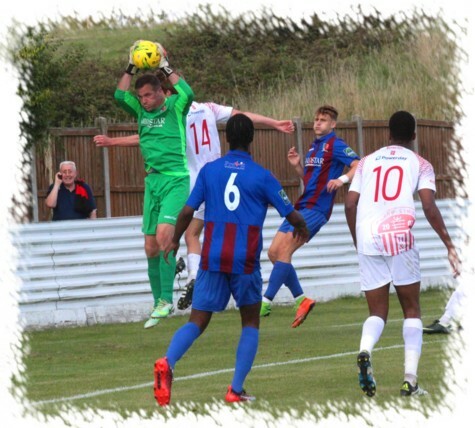 Soon after though Jack Smith was twice called into action, firstly to field a deflected Ryan Gondoh effort from 20 yards and shortly after he had to get down quickly at his post to hold an effort from Junior Ogedi-Uzokwe. On 22 minutes, hesitation in the home defence allowed Rowan Vine to nick the ball and fire goalwards from the edge of the box, home custodian Andy Walker doing well to push his drive away to safety. Almost immediately United were under pressure again at the other end as Tom Monk moved into the United area on the right, shooting past the out coming Smith with a well-positioned Danny Blanchett clearing his shot off the line. 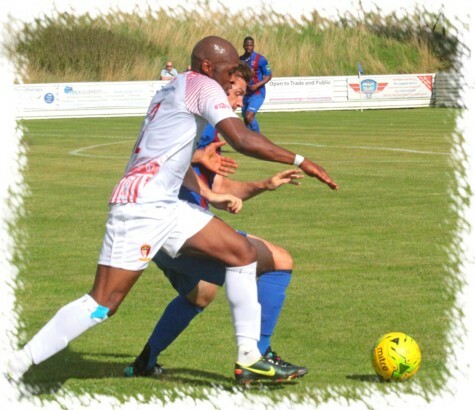 On half hour Manny Duku dispossessed Emmanuel Udoji on the edge of the Jammers box, the United striker turning his man only to be denied by Walker at close quarters, the ‘keeper getting down ell to block the ball away. The Jammers then raced from one end to the next with former United striker Ogedi-Uzokwe outpacing the injured Mat Mitchell-King before attempting to take the ball around Smith who caught the strikers foot to give away a penalty. Ogedi-Uzokwe dusted himself down and sent Smith the wrong way from 12 yards to give the home side the lead. Smith was twice needed to keep the deficit to one in the final minutes of the half. Firstly the United stopper pushed out a fierce 25 yard drive from Chris Millar and then having mistakenly picked up a back-pass just inside his box, Smith made amends with a fine diving save to deny Millar again after the ball was rolled to him by Matt Lock. Manager Paul Hughes used up both of his remaining substitutes at the break, Harly Wise having already replaced Mitchell-King during the first period. These changes saw Rohdell Gordon replace the ineffective Omar Daidouh while Frankie Jones replaced Danny May who is still struggling for fitness after injury. United’s changes paid dividends almost immediately as Gordon’s free-kick into the Jammers box was retrived by an alert Vine, his header was further helped on by Spyros Mentis to Harly Wise who bounced a far post volley across Walker into the far corner. The home side were quickly in possession in the United box once more as the ball dropped to the impressive Johnville Renee inside the six yard box, Smith doing well to get down quickly at his feet to block and then grab the loose ball. Minutes later United took the lead in somewhat comical fashion. 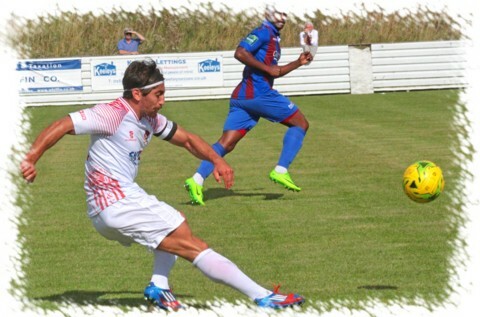 Gordon’s low free-kick to Frankie Jones saw the United midfielder turn and fire goalwards with little pace whereby a defensive clearance cannoned back into the Jammers goal off the legs of the unfortunate George Keys for an own goal. Jones then fired wide for United from distance before the home side levelled the game just after the hour mark when a free-kick by Gondoh beat Smith low to his left although the United ‘keeper got a hand to the ball and may feel he should have kept it out with a stronger touch. Just after the midway point in the half United were back in front after a somewhat silly push in the back on Mentis by Dexter Peter saw referee Morrison again point to the spot. Duku stepped up for United and duly sent Walker the wrong way. The home side continued to push on at pace, and with United’s Duku struggling with injury it was always going to be a battle to hold on to the lead. Ogedi-Uzokwe raced past two defenders in to the United box and picked out Millar who blazed over from 10 yards and then with 10 minutes left on the watch Dexter moved past Joakim Ehui on the right side and pulled the ball back to Ogedi-Uzokwe who was denied a strike at goal by a well-timed Blanchett tackle. The home side did get an equaliser, that many would deny was deserved over the 90 minutes, in the final minute of the 90 when a quick throw in found Renee, he moved inside before unleashing an unstoppable shot that flew beyond Smith into the top corner of the United goal. Almost immediately from the re-start United could have nicked it as Ehui went on a raid down the right side, outpaced his marker and moved into the Jammers box, his cross come shot from an acute angle being touched onto the post by Walker and wide of the target. And it’s back to the SKYex for United v Jammers part 2 on Tuesday evening. United Man of the Match: Danny Blanchett.